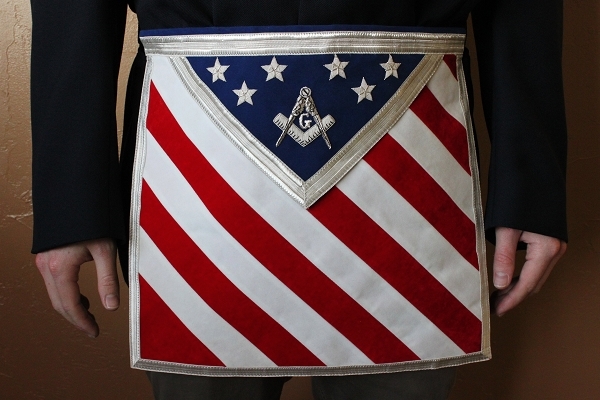 There is a very wonderful story behind the manufacturing of this apron. Call us any time and Sid will be glad to share it. Intended for those with current or prior military service. Available in the Past Master and Square and Compasses styles.